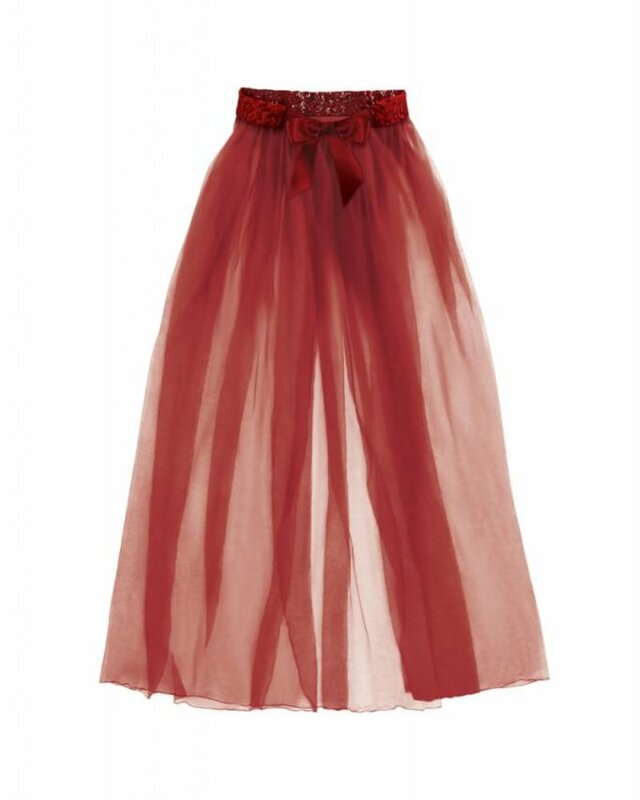 The Jean tulle maxi skirt is a fabulously dazzling skirt, designed to add a little sass and class to your Holiday lingerie style. 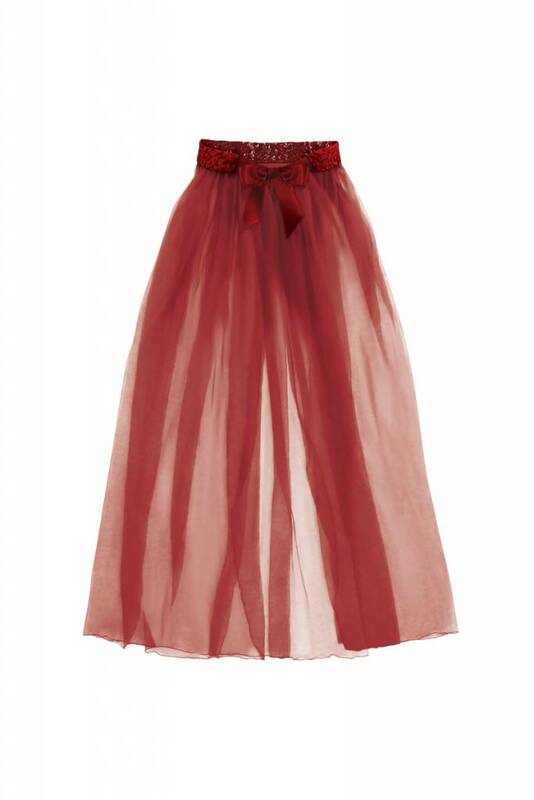 This floor length skirt features a soft draped mesh in a tantalizing wine red tone and is adorned with a plush lace and silky satin ribbon waist band. Versatile luxe ribbon tie allows for multiple layering options. 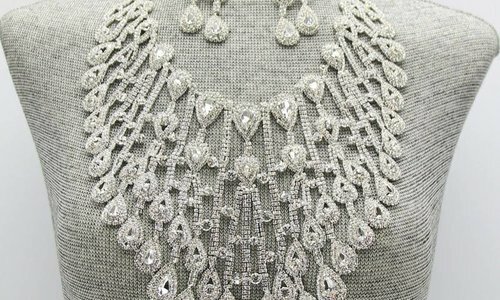 Jean can be worn at the waist or cloaked over the shoulders for an old Hollywood look.